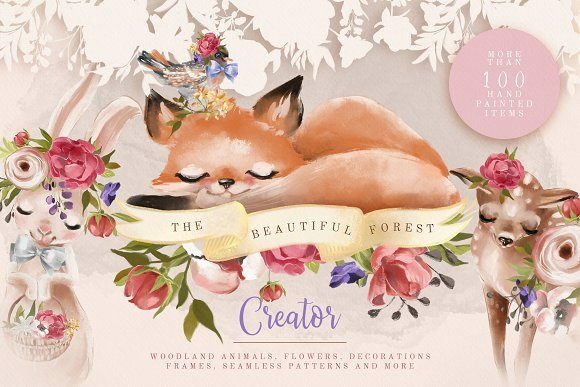 The Beautiful Forest – Over 100 items! 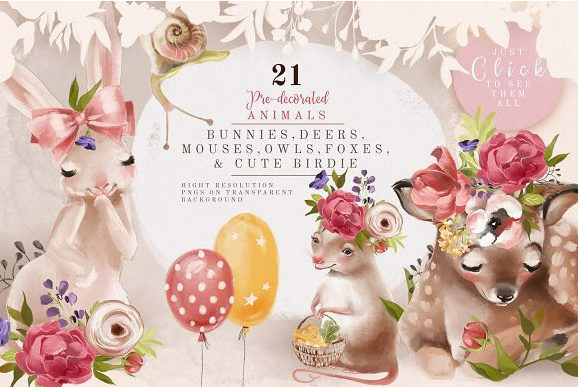 Woodland animals, flowers, decorations, frames, patterns and more! 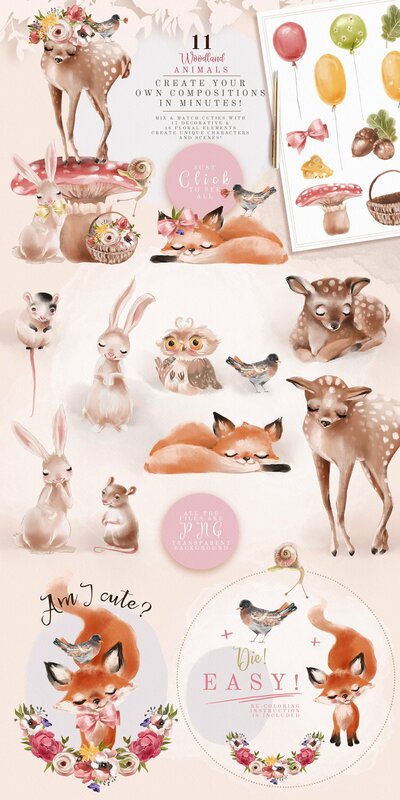 Beautiful collection of super cute animals – deer’s, bunny’s, foxes, owls, mouses, little snail and a bird. 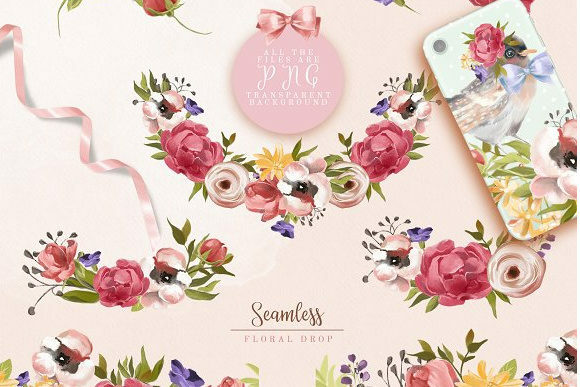 Pre-decorated with flowers and elements are perfect for birthday invitations, cards, nursery decoration and of course fashion. 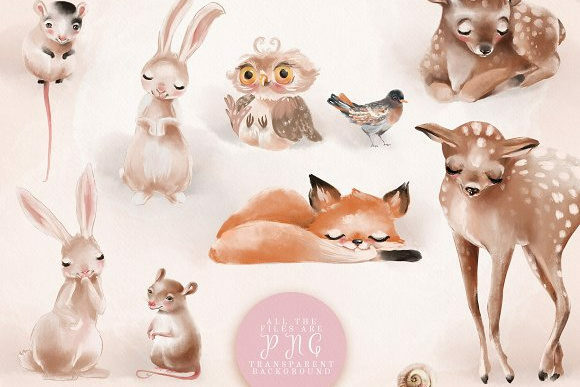 More than 20 ready-to-use compositions and plain versions of each cutie. DIY! 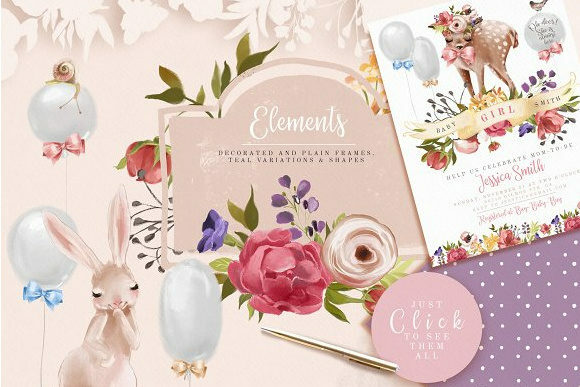 Its so simple to create your own scene – mix and match animals with elements – rich florals, balloons, bow, mushroom, acorns and beautiful basket. 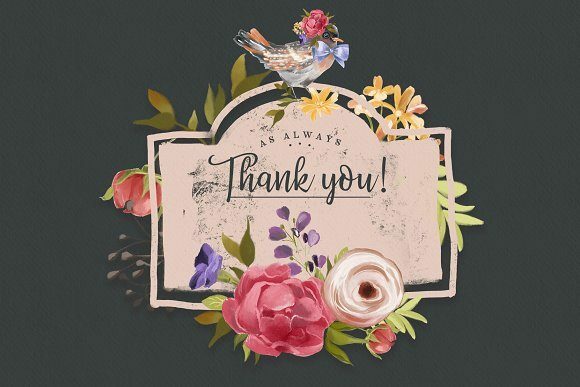 Wide choice of frames, shape and teals, bouquets and wreaths. Bonus! Seamless floral drop is included. 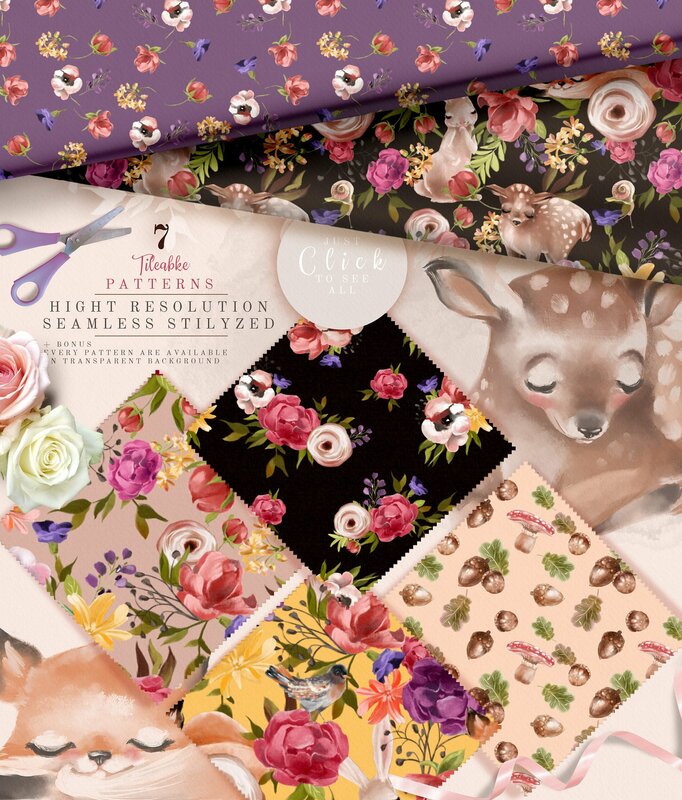 Beautiful tileable patterns will be great addition to your design projects. 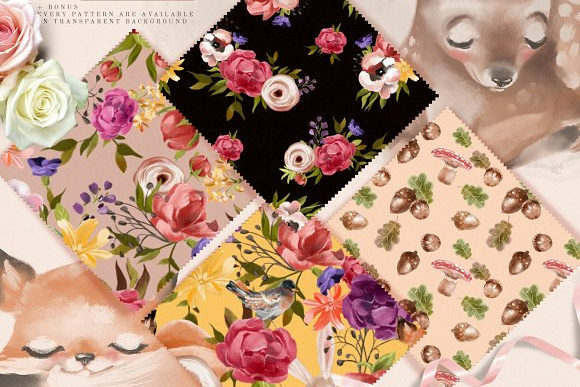 Each pattern are available on transparent background as PNG files. Please, enlarge the previews to see everything which is included to this kit! Each item are PNG with transparent background. In the covers are only images used which are included in the product.